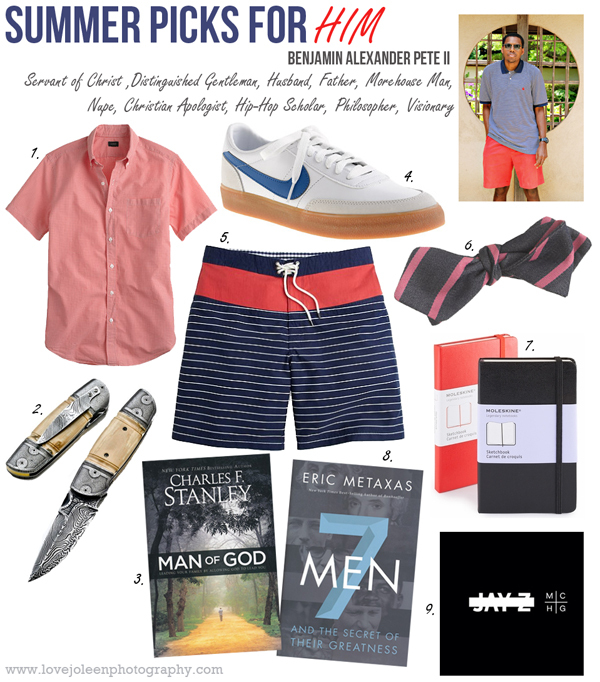 You may remember me posting Ben's Spring Picks for Him back in April. I love having his insight and have asked him back to share his Summer Picks for Him with us today! We leave for Destin, Florida on Thursday and are both really looking forward to vacation. I've never been to Florida and am really excited! My excitement is only somewhat tempered by the long drive with a baby. I plan to sit in the back with him for part of the trip so hopefully between that and his naps we should be okay. Besides the long drive it will also be his first time at the beach so I've been reading up on what to bring and how to prep. Any pointers would be much appreciated!